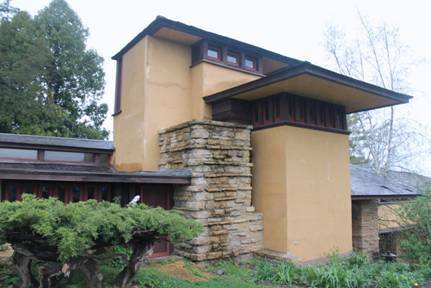 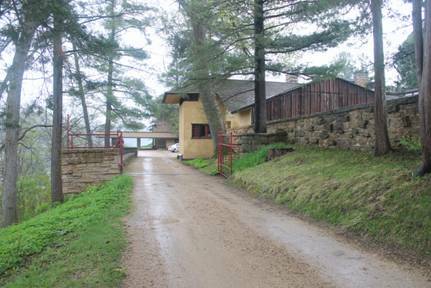 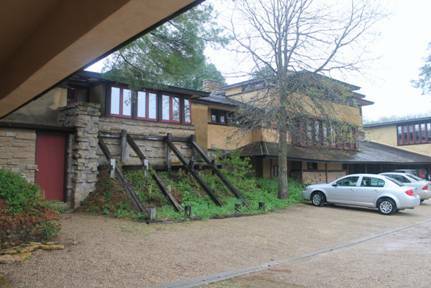 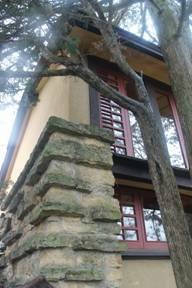 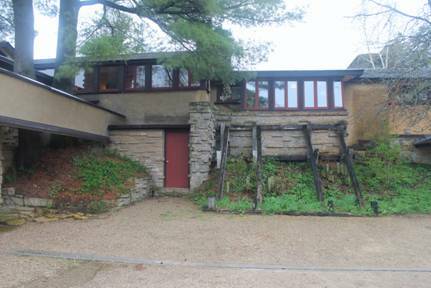 Taliesin became Wright’s home and studio after Oak Park (S.002). 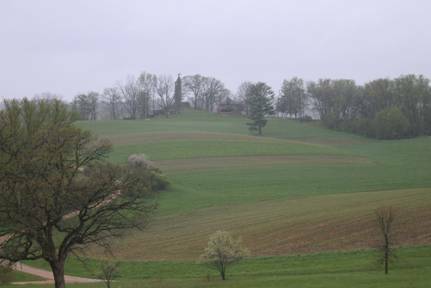 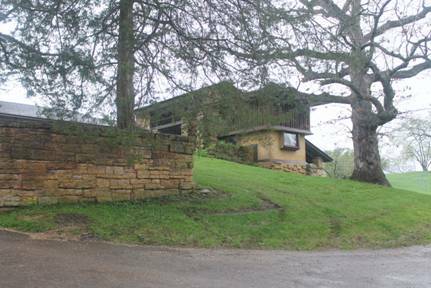 A move was necessitated by his romantic involvement with a client’s wife (see S.104), and Wright fled to the valley of his ancestors in Wisconsin. 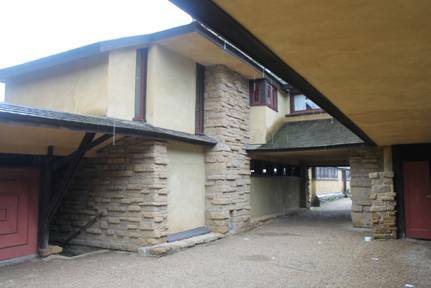 This extended property was already home to his first design, a family church (S.000) as well as a school run by his maternal aunts (S.001, S.069 & S.228). 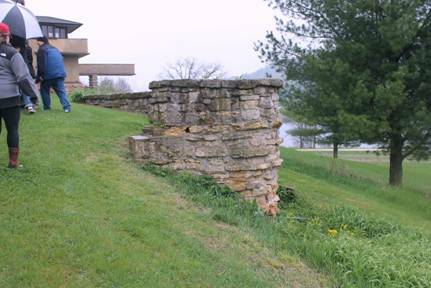 His own birthplace, Richland Center, is nearby. 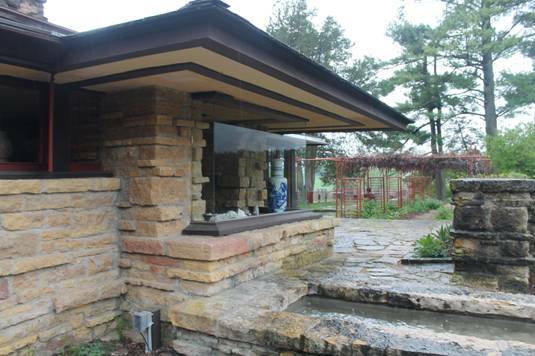 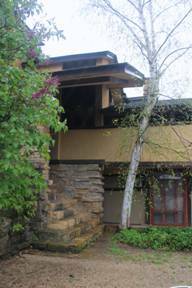 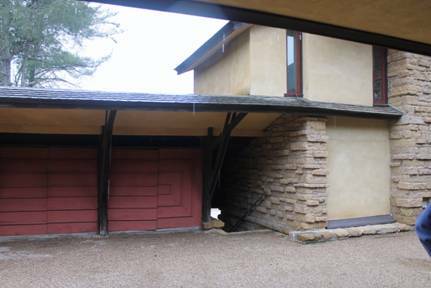 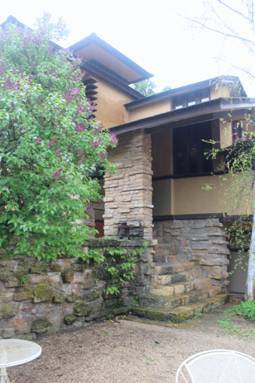 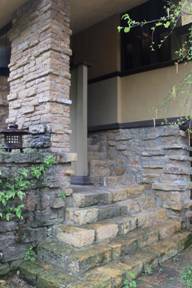 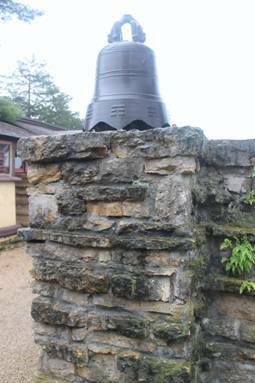 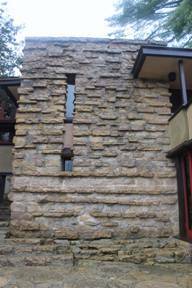 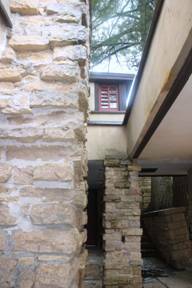 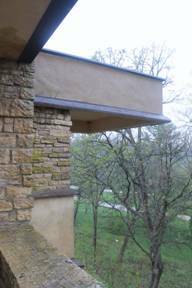 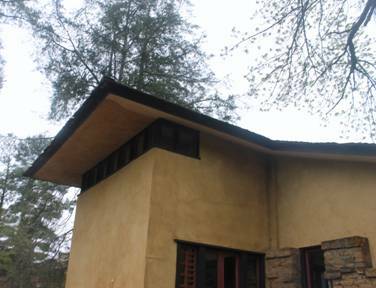 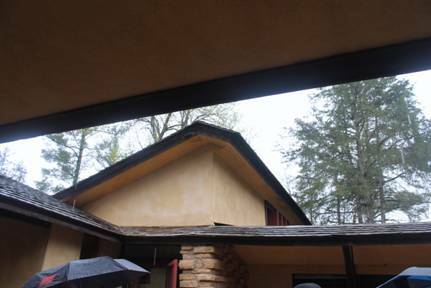 Here at Taliesin Wright designed many of his masterpieces, including Fallingwater. 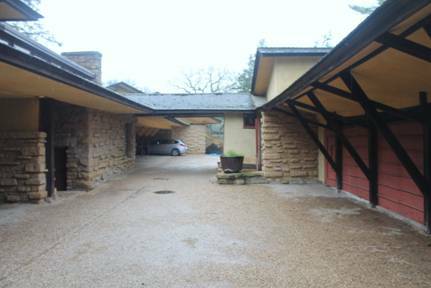 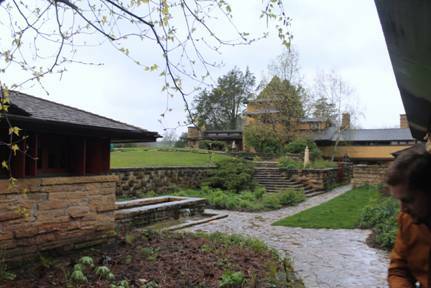 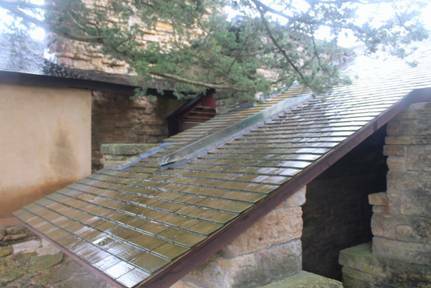 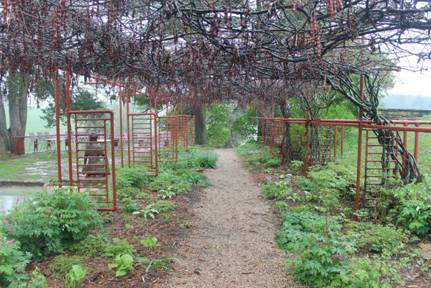 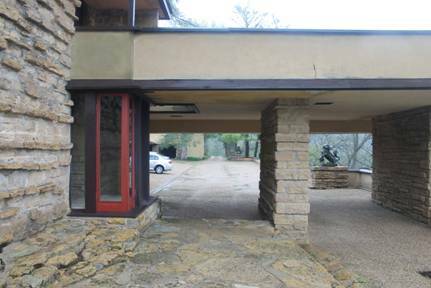 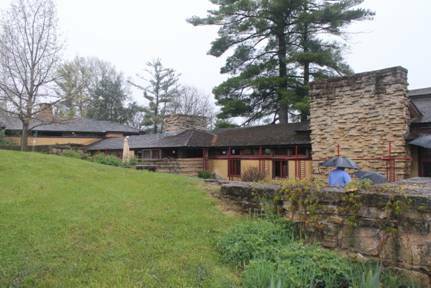 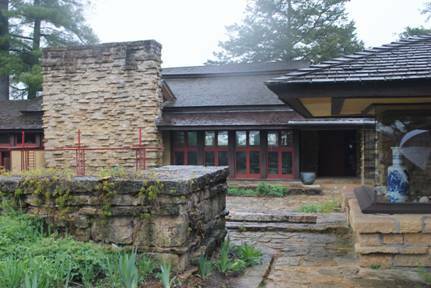 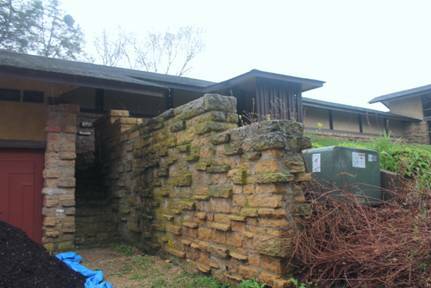 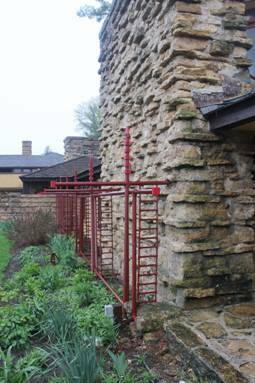 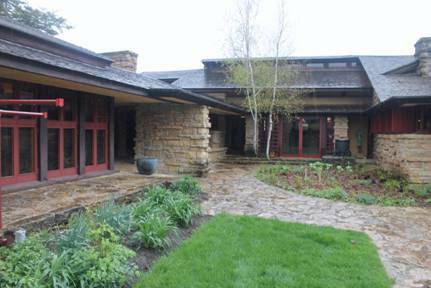 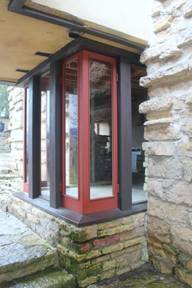 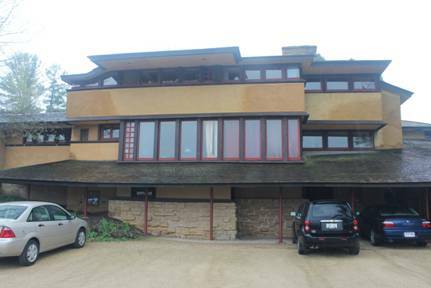 Wright’s Taliesin has undergone many changes. 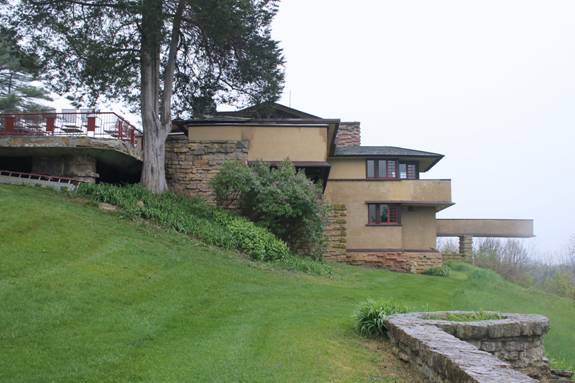 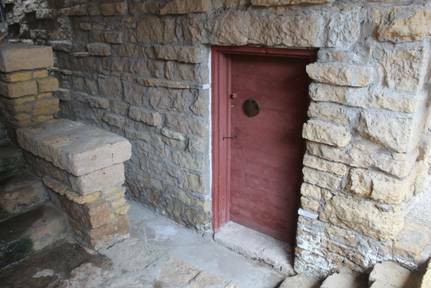 The original home, Taliesin (S.172) was built in 1911. 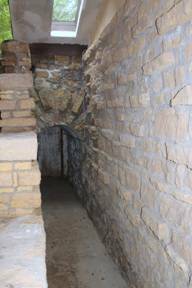 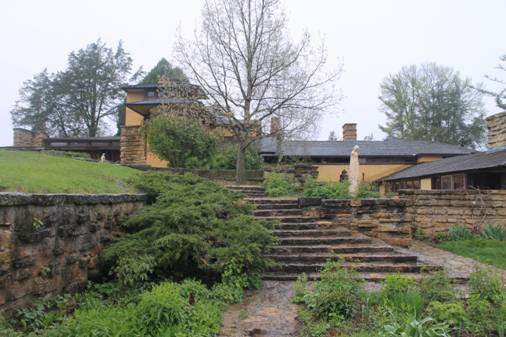 It was destroyed in the tragic arson that killed Mamah Borthwick and her children, together with Taliesin apprentices and laborers. 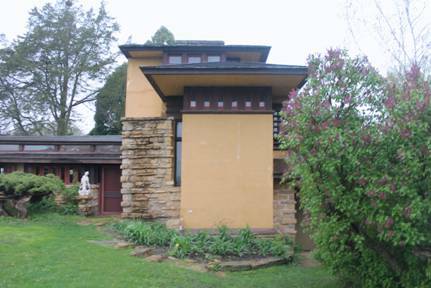 Taliesin II (S.182) replaced the home in 1914. 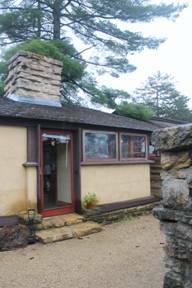 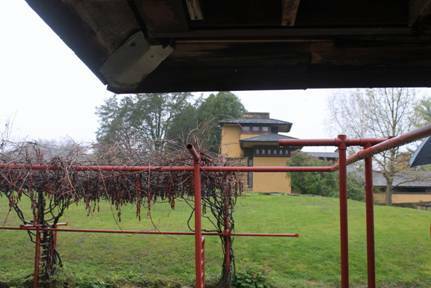 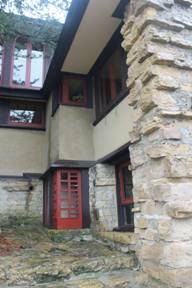 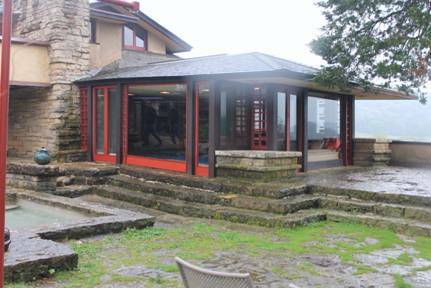 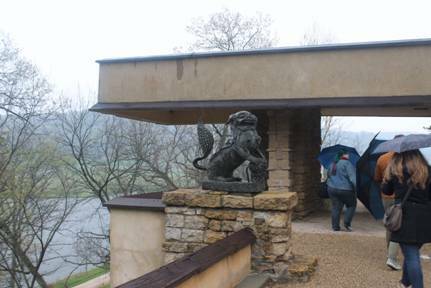 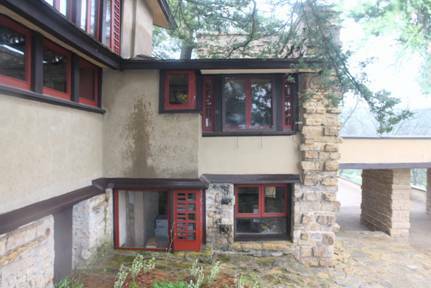 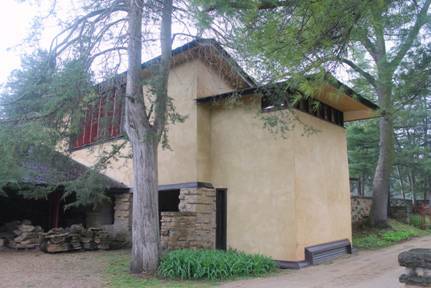 It, too, caught fire (possibly by lightning) and was rebuilt and enlarged in 1925 by this, the current Taliesin III. 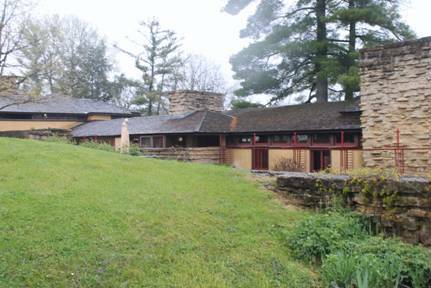 Taliesin III continued to serve as Wright’s summer home until his death, and his widow likewise remained here until her passing. 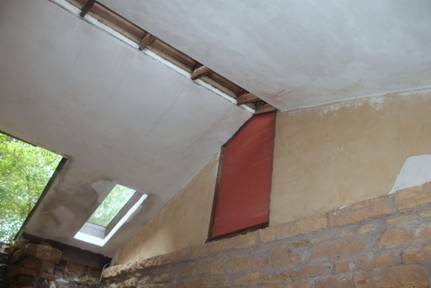 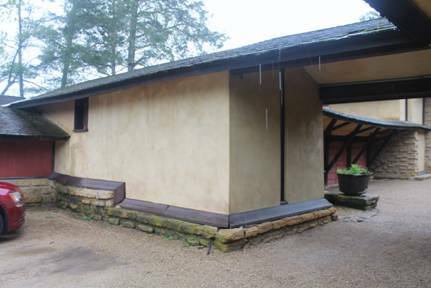 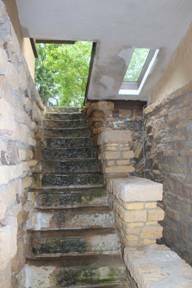 A detailed two-hour tour explores the history of the three buildings as well as the various outbuildings and add-ons that have been converted from stables and coops to living space and other practical applications. 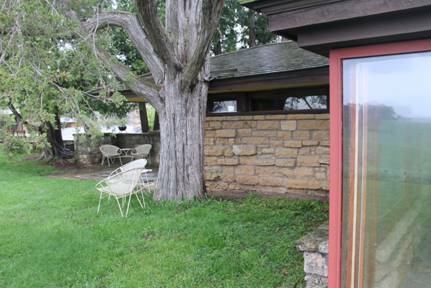 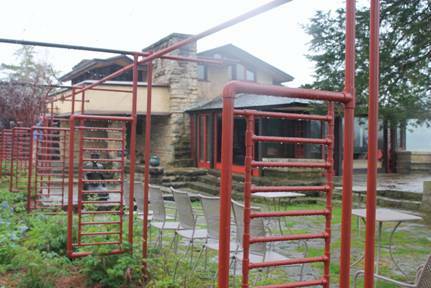 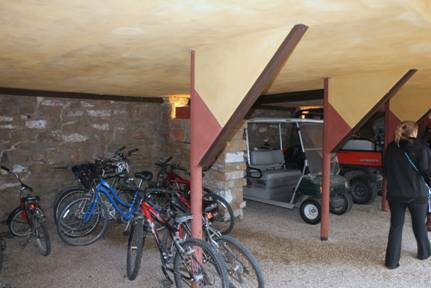 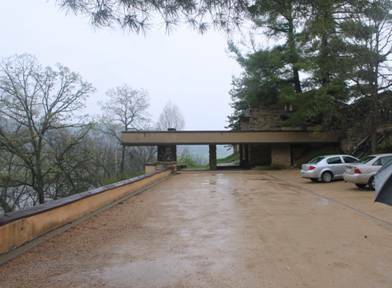 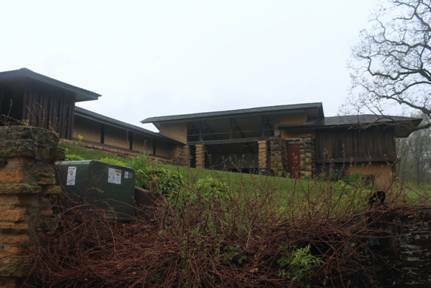 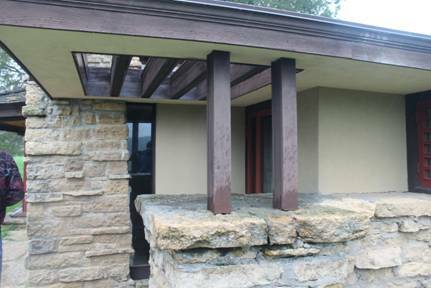 Some areas serve as apartments for Taliesin Fellowship employees and retirees. 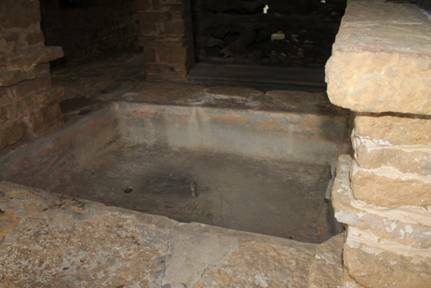 In 2016 visitors on the tour were permitted to take interior photographs. 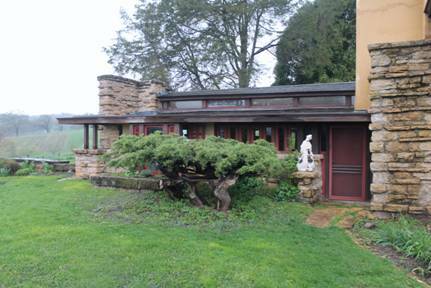 The interior includes a wide range of Wright furniture from the beginning of the century through the 1950s. 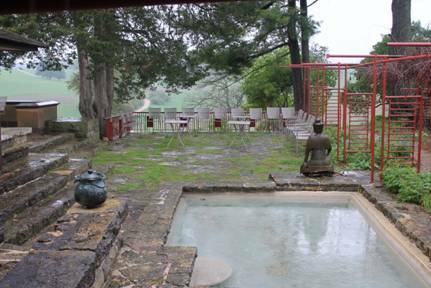 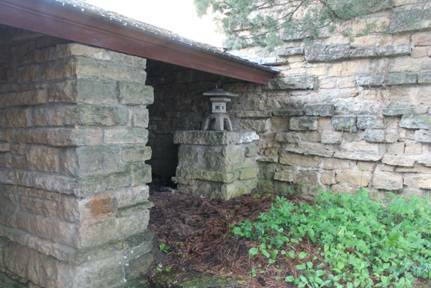 Photographed on April 30, 2016.
a pool and patio, but “has been converted back to its natural state,” according to Prof. Storrer.